Thanks for stopping by! Since you're here, we know you are a lover of quality leather, and like to be informed too! Well, we've put together some frequently asked questions (that's FAQ for you acronym lovers!) 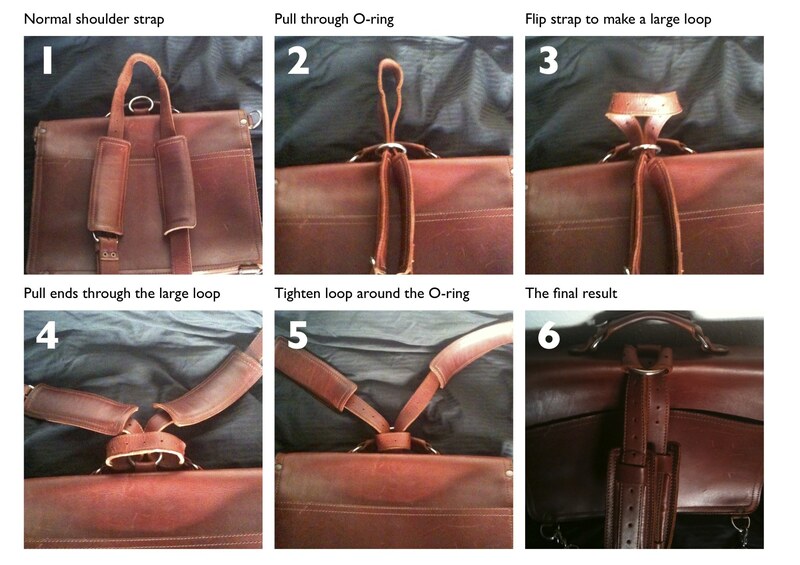 to help you on your quest to knowing all about snagging some sweet Saddleback leather. We know your minds are vast and unique, so feel free to give us a shout or drop us a line if you don't find what you're looking for below. Click here to email us, or if you want to give us a holler just call (210) 858-5210. We're here M-F from 9AM to 6PM Texas time, otherwise known as Central Standard Time. A. That depends on whether or not it has been shipped yet. Please give us a shout here and we'll do our best. If the changes are urgent please give us a ring at (210) 858-5210. A. Just reach out to us here and we'll cancel that puppy as long as it hasn't been fulfilled. If this is an urgent request please reach out to us at (210) 858-5210 during business hours (M-F from 9AM-6PM, CST). A. We accept American Express, Discover, MasterCard, Visa, and Paypal. We don't take money orders or checks, but there's a work-around. You could just buy yourself a credit card gift card. They sell them at most grocery stores or other retail chains. Just remember to follow the directions on the packaging to activate it before you shop online with it. Works just like a credit card, but it's not linked to your bank accounts. Q. Can I request a cool scar/no scars on my leather? A. Nope, it's really the luck of the draw! If you're not happy with what you receive, (which we really hope you are!) just give us a shout and we'll get you set up with a return. Q. Can you pick a darker/lighter shade for me? A. Not really, we only have so many items to choose from and chances are they'll be from the same batch and a similar shade. Q. Can you send me a thinner/thicker item? A. All of our leather is within millimeters of each other in thickness and we can't custom make something thicker or thinner. Q. How long until my leather ships? A. We use a third party shipper, and most orders ship within 24-48 hours. You'll receive tracking information just as soon as a label is created. If it's urgent please give us a call at (210) 858-5210. A. We now offer FREE domestic ground shipping to all 48 continental states and charge a flat rate fee of $7 for the following: Alaska, Guam, Hawaii, Northern Mariana Islands, Virgin Islands, FPO & APO addresses. Q. How long will it take to get my leather? A. If your order weighs less than 9 lbs, it will take your order between 5-7 business days to get to you. If your order weighs 9 lbs or more, it will take 3-5 business days to reach you. If you need a guaranteed delivery date please choose one of our expedited options. A. Yes! You'll have to enter your APO or FPO as the city. The state will be either AE, AP, or AA depending on your current address. Please choose the USA for your shipping country for fees to be calculated correctly. Don't forget the zip code! Q. Do you insure your shipments? A. Yep, our packages are fully insured. Q. Can I use my own shipping account? A. Nope, sorry about that! We use a 3rd party shipper, and we must use their accounts. Q. Why can't I track my order yet? A. UPS usually needs about 24 hours after their initial scan for things to show up on their website. If you aren't seeing anything after that please feel free to reach out right here. Q. Can I get a quicker delivery option that is guaranteed? A. If you need a guaranteed delivery date please choose one of our expedited options. Q. How long for it to arrive? A. For UPS World Wide Saver it will take 1-3 business days and 2-5 business days with UPS Worldwide Expedited. Q. Will I have to pay any fees on arrival? A. More than likely, yes. You will be responsible for all associated taxes and import duties. Take note that in general UPS charges an additional handling fee for brokering your package through customs. The fees are determined by your local government. You might be able to get a rough estimate here. Q. Are there expedited options internationally? A. Yep! UPS has Saver which is the quickest, and Expedited which is just a bit slower than Saver. Q. Do you ship with USPS? A. We do, but USPS might not go everywhere, so check the shipping details at checkout. Q. Does it have room for my…(bottle of Jack, sword, ninja stars)? A.Take a look at the product page you're interested in, and you'll find the size chart and dimensions there. Q. Are your bags heavy? A. Yep, you betcha! We use full grain leather, and it is THICK. We choose to use this thicker leather for its increased durability, and the awesome way it breaks in over time. Wheeled luggage carts definitely come in handy if you're planning on trekking through the airport with an entire herd of our gear. Thin leather just doesn't last or age well. If you want something that ages well and lasts, you'll need to invest in something with heavier leather. Some have complained that the briefcase is too heavy for them. Normally smaller framed women tell me this. The suitcases aren't too heavy for anyone as long as you have a wheeled carrier like I do. Even if I had luggage with wheels, I would use it every time I traveled for carrying my carry-ons from the baggage check to the airplane. There is a number of them out there to choose from. I'm currently using one from Samsonite. Q. What color should I get? A. Also take into consideration your lifestyle. If your daily breadwinning involves a three piece suit, then Chestnut or Black might be the best fit. If looking “dressy” doesn't matter, then pick the color you like most. We've found that your first inclination typically tends to be the best choice! Q. Is the color shown on the website going to be exactly what arrives? Pick the one that fits who you are. I've observed what the bag owners tend to be like based on the color they have chosen over the years. The category below that fits you best is probably the color you'll enjoy most. You'll be amazed at how it helps you decide. Remember, your first inclination is usually the correct one. A. We currently use medical grade Stainless Steel 316. Q. Will you ever offer brass hardware? A. Not that we're aware of but you never know what Dave might decide to come out with next! A. We use full grain luscious leather. Q. Where is your leather sourced? A. This is a trade secret, but we can tell you all of our cows were raised in North American pastures, and were raised for meat as well as their hide. Q. Were the animals treated humanely? A. If you count wandering the plains of America and munching on the amber waves of grain humane treatment, then yep! With some pigs we do use water-boarding and sensory deprivation techniques previous to slaughtering them, but the cows do not require any special handling. A. Read more about EIEIO here. Q. What tannery do you use? A. This is super top secret, and honestly can change depending on the need. If you need to score some leather for your own project, we recommend Tandy Leather Factory. Q. Why does tobacco weigh more than the other colors? A. The tobacco is made from an wax based dye which is heavier than the oil based dye we use on our other colors. The difference is slight. A. All natural leather cleaner, conditioner, and water repellant. Smells yummy :) Nope, it's not made out of milk, it's just milky colored. Q. Can I put it on all types of leather? A. We recommend it on our leather, but please check with the manufacturer for their recommendations on other leathers. Also go here to see Chamberlains recommendations. A. Dave recommends every 6 months to a year for conditioning, maybe a little more often if you live in the desert. But you can help stimulate the economy and feel free to use it more often if you'd like! Just let your leather totally dry out before reapplying. Q. Will it darken the leather? A. It might, always test on a small, inconspicuous spot. This product is not one that would work well if you're looking to dramatically darken your piece. Always test in a small area first to see if you like the result. Apply in thin, even layers allowing each application to completely dry. Q. Will the color rub off? A. Yep, it will just a bit when you're applying conditioner. Once the bag dries you shouldn't have a problem. Q. How do I darken my leather? A. The best way is the natural way; lots of use! If you're in a hurry though, a little mink oil should do the trick. Always test in a small area first to see if you like the result. Q. Will water hurt it? A. Our leather laughs at water. The leather is tanned with oil and therefore repels water after a few hours or even a few minutes. Your leather will be fine if it gets rained on and there won't be spots afterwards. Just be aware that while it's wet the color could come off a little. If you fall in the ocean with it, then soak it in freshwater for 24 hours. Change the water about 12 hours into it. That's what I did when I took my bag shark diving with me for pictures. I now use it as my diaper bag. If you only get a little salt on it, then clean it off with water and then condition it. The rivets corrode though. Please make sure your gear is completely dry before storing. It can mold if left damp. Q. How do I get scratches out? A. Elbow grease is the best for scratches. Rubbing the heck out of it with a rag and conditioner or oil should do it. Personally, I like scratches. They tell stories and make people wonder. Q. How do I get ink off? A. Well, you're pretty much screwed. One person said that hairspray worked to get their ink out, but there's something cooler you can do. Take it to a tattoo artist and have him make a sun or cross or something like that with it. It'll look cool and you'll have a good story too. A. Cheap leathers fade, black to grey, red to pink etc. Our leather is not cheap. It won't fade but will usually darken a little in the sun. Q. What if I want to shorten/lengthen my strap? A. Give these guys a shout and they'll be able to do it for you. A. Nope, but you can get it stamped or laser engraved locally and it turns out really cool! Just do a Google search for leather engraving in your area. Examples of laser engraved leather. Q. Is it possible to make changes or modify my bag before it's sent out? A. No. It sounds really easy to have one made without d-rings or with an extra pocket, but it really is a whole lot of work. Please believe me. Q. Will you make something custom for me? A. Give us a shout and let us know what you're looking for. If you're looking for a whole bunch of something we might be able to help, or at least get you pointed in the right direction. Q. I'm sending out gifts to my company, are y'all able to stamp my logo on your products? A. Awesome, we can totally help with that! Please reach out to our corporate sales right here. Best Overall - Grand Prize $500 Gift Certificate + THE most exclusive "Super Special" keychain that hardly anybody will ever own, much less ever see in their lifetime. The coolness factor is important, creativity, uniqueness, hardest to get to or in an exotic place on Earth won’t hurt your chances either. One great hard to get photo we got was a pic of a bag in the DeMilitarized Zone between North and South Korea. But please don’t risk your life to get a cool pic. *If you are the first to get a picture of your leather being held by Harrison Ford or Bono then then you automatically get THE Special keychain that very very few people will ever own. Even if you don't make it to the top of some cool mountain or never even leave your state, I really want to see your picture. It's just what Saddleback Family members do. One of the past winners was the person's bag next to a fireplace. It was cool. A. Please submit your entry here. The form is the only way to enter. Posting your photos on our Facebook page or other social platforms will not get them entered into the contest. We might use your photo for promotions, banners, or use it on the site. If you'd rather we didn't, just say so in your email. We'll make sure to enter your photo into the contest either way. Q. Any ideas for cool pictures? A. If you work at a bank, then maybe get a picture with your bag with $1,000,000 cash or that much in your suitcase. If you live in London, maybe a picture of it being run over by a double-decker bus or with Big Ben. If you know someone famous, take a picture with them with it. If you live in the country, leave it out in the field with deer feed laying around it overnight and then in the morning with your telephoto lens, get a picture of it with deer all around it. If you're a surgeon, take a picture of you performing a surgery on it with nurses all around. Be creative. With your pet, a cool bridge, in front of a nice door, etc. Q. Where can I see your bags in person? A. We have opened a showroom at our Fort Worth Warehouse location. If you are in town, come on by between the hours of 9 AM to 2 PM, Tuesday through Friday. Q. Can I be a distributor or sell your leather in my store? A. Back when I was really dumb, my friend Steve and I hiked up Mt. Hood, starting at the tree-line, from 2:00 a.m. 'til 8:00 a.m. in the snow with big fat inner tubes over our shoulders. We were going so fast down the super steep groomed corduroy-like icy glacier that when we finally got stopped, Steve smelled smoke because of the rubber that had melted off the back of his boots trying to slow down. Luckily there were no trees to hit. Anyhow, the half hour of pure joy flying down the mountain was well worth the lack of sleep, the icy cold fingers, the burning leg muscles the cold snow and ice down my pants and the risk of getting hurt. I evaluate most things in life by whether the level of joy that comes outweighs the cost. There isn't enough joy in the extra money made by selling wholesale to stores to make it worth the trade of time with my hot wife and my kids. And, if I were driven by money, I probably would, but I'm not. It's about my job being fun and the headache of stores and all that doesn't sound like fun. All that to say... No. Plus, I don't want everyone in the world owning my bag. Exclusivity is almost as attractive as my wife Suzette. I do want to be a household name, but only in a few homes. Q. Who should I contact if I want to feature your product on my blog? A. Thanks so much for reaching out! You can give us a shout right here and we'll get back with you just as soon as possible. Q. Do you all offer Affiliate programs? A. Yep! We'd love to hear from you and see if we're a good fit for each other. Give us a shout right here and we'll get back with you as quick as we can. A. We just might be! Check out our Jobs Page, if we have openings they'll always be listed there. If you ever come across a Saddleback opening somewhere other than our page, please feel free to reach out to us so we can verify its legitimacy. Q. Can celebrities have free bags? A. “Hi Dave, I'm So and So's manager and they asked me to ask you if they could have a free bag. Can they?” Please tell your owner to check the cushions of their couch for the extra money so they can do what the rest of the athletes, actors, musicians and politicians do and just buy one. No special treatment here. People are people. Q.How do I change it into a backpack? A. Disconnect the shoulder strap completely. Attach the end of the shoulder strap that is closest to the buckle of the shoulder strap to a rear bottom d-ring. Run the shoulder strap through the d-ring beneath the handle along with one shoulder pad and then attach the other end of the shoulder strap to the opposing rear bottom d-ring. Q. How can I convince my honey that I need this? A. So you want it. Now comes the hard part of convincing your honey that you need it. Maybe if you throw some of these phrases into the conversation, it'll help. I don't think I'd need to go shopping for another thing all year after buying something like this. I don't know why, but owning a hope and a dream like this, makes me want to just sit down on the couch and OPEN UP about the hopes and dreams we share. Think of all of the extra TIME we'd spend TOGETHER on our long walks holding hands and showing off the leather. I might invite you to my birthday party. If you don't buy this case, then next year, when you're scouring the internet again looking for your next garage sale piece because yours is already torn or broken, your mind will drift back to my words. You'll slowly shake your head and say, "Man, was that guy right or what". And then you'll slightly squint, press your lips together and give a few small nods. I tell you what, buy it now or kick yourself later. I've made this for you to break in. It'll take a few months until it really starts to look cool, and you'll have to use it a lot. In fact, the more you use it, the better it looks (and it already looks great). It'll eventually form to the places on your body it touches regularly. The edges will soften and round some to become even more chic and classic looking than it already does. We're running these contests for us and for our Saddleback Family, so no one (Facebook, Twitter, Pinterest, Instagram...) has a hand in it at all. Anyone in the world can enter no matter where they live, though you need to be 18 please or older unless specifically noted in individual contest rules. You can only win if you follow the rules for each contest. We can disqualify anybody we want for any reason, especially if we feel that you're cheating or breaking the spirit of the contest. If we want to, we can cancel a contest at any time and for any reason. We probably won't do that, though. We might use your contest submission or any comments you make for advertising or repost it in a public place. Once we announce the end of the contest, it is over. You can keep guessing if you want to impress your friends. If you do win, just know that we won't swap out your prize for something else or give you cash instead. Q. Do you currently offer a discount to military personnel or first responders?? A. We give Military (Active/Retired/Veteran) and First Responders (Police/Fire/EMT) a 10% discount as a small way of saying thank you for our safety and protection. It’s done through a 3rd party verification site called ID.me. To learn about ID.me, check them out here. A. Once your cart is full, click the option to View and Edit Cart. Have your ID handy and at the bottom of the Cart page, get verified with ID.me by clicking either the Responder ID or Tropp ID button. You’ll be taken to the ID.me site for a quick and straight-forward identification process. You can sign-in there if you already have an ID.me account or go through the quick steps of setting up a new account. Once verified, you’ll be back at your Saddleback cart to finish checking out. Q. Can I call in to get this discount? A. Nope. For integrity and security purposes, our customer service folks will not be able to apply this for you. Q. Can I get the 10% off anything and everything? A. Discount does apply to both Saddleback and Love 41 merchandise, but Dave’s Deals, Gift Certificates, Suzette's Steals, Love 41 Lovely and other sale items or promotions are excluded. Does not combine with other discounts. Gently brush away dirt with a soft brush or lint free fabric. Sponge with a little cold water to remove more persistent dirt. Never use hot water, soaps or solvents. Allow garments to fully dry after cleaning or wear. Never pack away damp. Re-waxing will maintain the weatherproofing and lifespan of the piece. We've got wax available along with instructions on how to re-wax your canvas here on the website.